Do You Use This Website Weekly? NRSV Lectionary readings from Vanderbilt Divinity Library. Leccionario Dominical La Iglesia Episcopal Ministerio Latino Hispano, Año B.
Lutheran lectionary readings, Year B, from the ELCA site. United Methodist lectionary readings, Year B.
Biblical Passages for Mennonite Bulletins, Year B.
PCUSA - Daily/Weekly Lectionary Readings. In the film Selma, there are times when Martin Luther King, Jr. seems like a good shepher, in one scene standing watch over his people as they kneel in prayer in front of a segregated courthouse, and in another heading the march to Selma. "The Most Misured Scripture in the World," "Good, Life-giving Shepherd of Many Pastures," D Mark Davis, raw translation and exegesis/questions, Left Behind and Loving It, 2012. Preaching This Week commentaries of RCL texts at WorkingPreacher.org, Luther Seminary. Pulpit Fiction, plus podcast. Reflections of lectionary text, pop culture, current events, etc. Robb Mc Coy and Eric Fistler, 2018. The Center for Excellence in Preaching, resources from Calvin Theological Seminary: Comments & Observations, Textual Points, illustration ideas, 2015. Points for Preaching and Teaching, 2015. The Lectionary Lab, Easter 4, the Rev'ds Dr. John Fairless and Delmer Chilton (aka "Two Bubbas and a Bible"), 2012. Faith in Process, David Smith, 2018. Evangelectionary for April 26, 2015, Peter Bush, Evangelism Connections. Preaching Helps and Worship Resources, Rev. Dawn Chesser, Taylor Burton-Edwards, Dean McIntyre, Prayers, Lectionary Hymns, United Methodist Church General Board of Discipleship, 2015. "Enfolded by Love," Kathryn Matthews Huey, Sermon Seeds, SAMUEL, 2015. The Adventurous Lectionary, Bruce Epperly, Living a Holy Adventure, 2018. Ministry Matters, April 26, 2015. Starters for Sunday, April, 2015. Thoughts on Readings, Prayers & Hymn Suggestions. Office for Worship, Doctrine and Artistic Matters, Church of Scotland. Lectionary at Lunch: MP3, Windows Media, and Real Audio files of lectures by professors at Concordia Seminary, St Louis, MO (LCMS), 2015. Preaching Peace commentary, Jeff Krantz & Michael Hardin. Girardian Reflections on the Lectionary, Easter 4, by Paul Nuechterlein & Friends. Jesus Now, Easter 4B. Lectionary, study and worship resources from Faith Futures Jesus Then & Now. Rumors, for May 3, 2009, Ralph Milton, "Sermon helps for preachers with a sense of humor." Sermon Brainwave, Lectionary podcast featuring Profs. Rolf Jacobson, Karoline Lewis, and Matt Skinner, discussing the week's passages in light of current events. At Luther Seminary's WorkingPreacher.org. 2015. The Preacher's Study, John W.B.Hill, 2018. Richard Bryant, Food for Thought, 2018. Radical Discipleship.Net, "The Wild Lectionary," curated by Laurel Dykstra. RevGalBlogPals, commentary and discussion, 2018. Saturday Night Preachers Party. "Draughting Theology," Steve Pankey, 2018. Daily reflections and study for Sunday. The Reflectionary, images, reflections, activities, Fay Rowland, 2018. Sunday Scripture Podcast, Joe Cate and friends, 2018. LectioCast - Homebrewed Christianity, 2018. "What I'm Thinking," Eric Anderson, You Tube, RSS, Playlist, 2018. "Crackers & Grape Juice," 2018. Lectio Divina Podcast, Todd Spencer, 2018. Unfolding Light, Daily Reflections leading toward Sunday readings, Steve Garnaas-Holmes, 2018. Break Open the Word, Michael T. Hiller, 2018. Lectionary Poetry, Scott Barton, 2018. Hitchhiker's Guide to the Bible, Andy Doyle, Episcopal Diocese of Texas, 2018. The River of Life, Loddon Mallee UCA Presbytery Blog, 2018. Sunday's Child, Daily Lectionary and Reflections on Scripture and World, Una Malachica, 2018. Kairos CoMotion Lectionary Dialogue, Wesley White, 2018. Living the Lectionary, Daily RCL reflections, Pr. Phil Heinze, Fort Worth, TX, 2018. The Preacher's Exchange - First Impressions and Homilias Domincales / Homilias Breves. Jude Siciliano, O.P., 2018. SacraConversazione, discussion of the texts in terms of traditions of interpreters, from a postmodern perspective, 2018. Lectionary Scripture Notes, Dr. Norman Beck, 2018. "God Is Not Done Yet!," David Lose, ...in the Meantime. 2015. "What's So Good about a Shepherd?" Karoline Lewis, Working Preacher, 2015. "Crying Wolf," David F. Sellery, 2015. "Sheep, Soteriology and Witness," RevGalBlogPals commentary and discussion. Don't miss the 11th Hour Preacher Party on Saturday! "Exhaling Judgment, A Personal Journey Toward Radical Welcome," Dr. Jacqui Lewis, ON Scripture - The Bible, Odyssey Networks, 2015. Video: An Interfaith Tour. Catchy Lecty Podcast, Easter 4, 2015. Lectionary Greek, Rob Myallis, 2015. "Shepherds and Economics," Eric Smith, LECTIO, 2015. 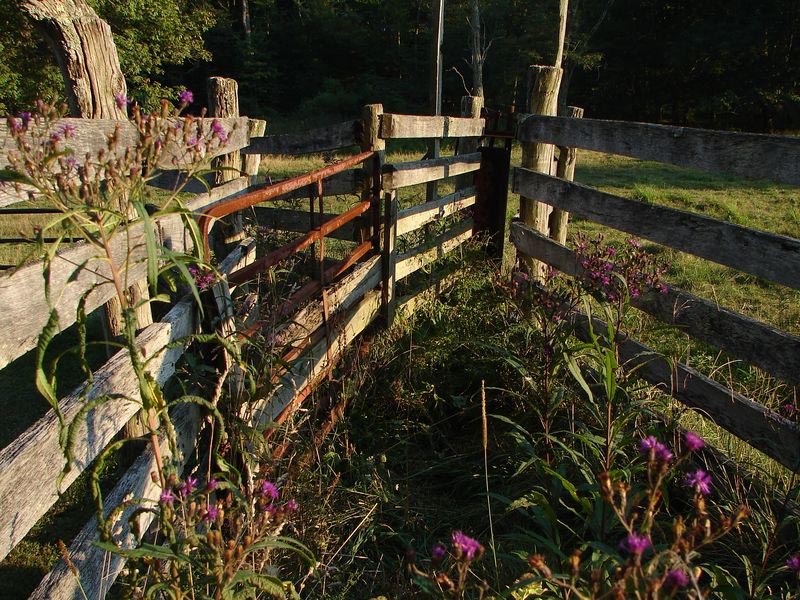 "Rambling in the Ruts of Righteousness," Sharron Blezard, Stewardship of Life, 2015. "No Weapon But Grace," Brian Volck, Ekklesia Project, 2015. "Lord, I Want to Be a Sheep, In My Heart!" John C. Holbert, Opening the Old Testament, 2015. "Just Wondering," Debie Thomas, Journey with Jesus, 2015. 2012 and 2009 by Dan Clendenin. Lectionary Ruminations, John Edward Harris, Summit to Shore, 2015. 2012. 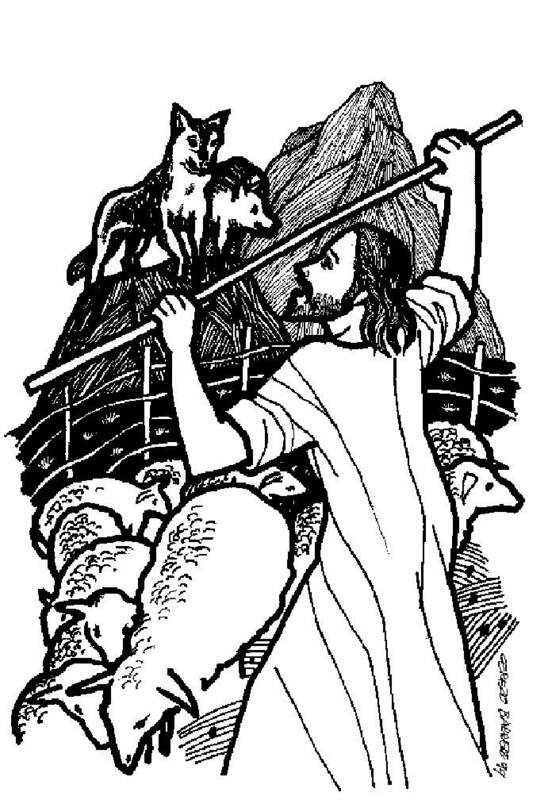 "The Good Shepherd," sermon notes, Porter Taylor, The Liturgical Theologian, 2015. "The Politics of the King's Shepherd," Alastair Roberts, Political Theology Today, 2015. "One Flock, One Shepherd," Bob Cornwall, Ponderings on a Faith Journey, 2015. "Listening for the Shepherd's Voice," Janet H. Hunt, Dancing with the Word, 2015. 2012. "The Beautiful One," Suzanne Guthrie, Soulwork toward Sunday: At the Edge of the Enclosure, 2015. "The Good Shepherd," Patrick Johnson, Missional Preaching, 2015. "Act or Career?" Bruce Maples, 2015. Lectionary Notes, Beth Quick, 2015. "Shepherds Lead," Thomas Beam, 2015. Care for Creation Commentary, Dennis Ormseth, Lutherans Restoring Creation, 2015. "If Life Were Not So Bitter," Steve Goodier, Life Support System, 2015. "The Shepherd King," poetry by Scott L. Barton, 2015. Preaching Tip of the Week, Bob Eldan, preachingtip, 2018. "The Love of God and the Needs of our Neighbors," Eric D. Barreto, ON Scripture, 2012. "So We Would Not Perish," "True Content," Rick Morley, 2012..
"What's the Catch?" Sharron R Blezard, Stewardship of Life, 2012. "We Know Love by This," Michael Coffey, 2012. "Transition and Identity in the Early Church," Bob Anderson, ShortStop: Lectionary Preaching in Times of Transition, 2012. "The Patron Saint of the Tongue-Tied," Doug Lee, Ekklesia Project, 2012. Overview of Scripture for this Sunday, Easter 4B, Rev. John Henson, 2012. "The Politics of Love; The Economy of Affection," David Ensign, Political Theology, 2012. "Easter Bunny now Easter Shepherd?" Peter Woods, I Am Listening, 2012. Liberal Lectionary Resources, Chris Ayers, 2012. "Staying at Your Post," Alyce M. McKenzie, 2012. "A Fresh Wholeness," John C. Holbert, 2012. "20:20 Vision," Neil Chappell, a weird thing, 2012. Sermon Notes for April 22, Michael Rich, In-Formatio, 2012. The Worship Closet, Easter 4, Creative Worship Ideas, 2012. Psalm 23, Peter Lockhart, A Different Heresy, 2012. Preaching Tip of the Week, Bob Eldan, preachingtip, 2012. "From Boys to Men," Larry Patten, 2012. Dylan's Lectionary Blog. Biblical Scholar Sarah Dylan Breuer looks at readings for the coming Sunday in the lectionary of the Episcopal Church, 2006. "The Good Shepherd," Debra Dean Murphy, The Ekklesia Project, 2009. "Ties that Bind," Stan Wilson, 2006. "Hooked on War," Andrew Warner, 2003. "Sheep on the Run," Craig Barnes, 2002. "Shepherding," F Dean Lueking, 1997. "Practicing Good News," Michaela Bruzzese, "Christian Community 101," 2009. "A Shepherding Love," Robert Roth, "Choosing to Love," 2006. "The Shepherd Who Casts Us Out," David R. Henson, 2015. "By What Power?" Rev. Stephen Montgomery (PCUSA),Day 1, 2015. "Wool and Mutton," Rev. James Liggett, Sermons that Work, Episcopal Digital Network, 2015. 4 Pascua (B) – 2015 por El Rvdo. Antonio Brito, Sermones que Iluminan. "Feed My Sheep," Frederick Buechner Sermon Illustrations. "What's Love Got To Do With It?" the Rev. Shari L. Rates, Day 1, 2012. Ministry Matters, April 29, 2012. Göttinger Predigten im Internet: Every Sunday Sermons based on the RCL by a team of Lutheran theologians/ pastors, 2012. "A Visitor, a Mapmaker and a Banquet," the Rev. Benjamin Anthony, Day 1, 2009. Abiding in Love, Nikki Hardeman, Faith Elements, 2015. "Enfolded by Love," Kathryn Matthews Huey, Weekly Seeds, 2015. Bible Study, Easter 4B, 2015, David Marker, Sermons that Work, Episcopal Digital Network. "Compelled to Tell," FaithElement discipleship system "setting the Bible free," 2012. Lectionary Notes, Easter 4, Rev. Beth Quick and the Lectionary Chat Group Bible Study of St. Paul's UMC, Oneida, NY. Life in Liturgy, Disciples of Christ, 2015. Mustard Seeds, Easter 4, 2015. A lectionary-based ideas resource for leaders of contemporary worship, Ann Scull, Gippsland, Australia. LCA Worship Planning Page, Easter 4, 2015, "Everything lay-readers need to prepare worship." Worship Resources, Easter 4B, April 26, 2015, Rev Mindi, Rev-o-lution. Lectionary Liturgies, Easter 4B, 2015, Thom M. Shuman, Presbyterian Church (U.S.A.). Worship and Liturgy Resources, Easter 4, by Rev David Beswick, Uniting Church in Australia. Shepherd Liturgy for use on Easter 4, Rev. Thomas L. Weitzel, Evangelical Lutheran Church in America. Easter Season Liturgy, Easter Season Reflection (emphasis on Easter in the Southern Hemisphere), Rev. Bosco Peters. Outside the Box, Easter 4, litanies, poems and prayers written for the local church, by Katherine Hawker. Lector's Notes, Easter 4, Gregory Warnusz, Saint Jerome Parish, Bellefontaine Neighbors, MO. Notes and commentary for those reading this week's lectionary texts to the congregation. Call to Worship, Mary-Jane Konings, 2012. "Liturgy: prayers reflection," reflections on the collect at the Eucharist, Rev. Bosco Peters, New Zealand. Weekly Evangelectionary, April 29, 2012, Peter Bush, Evangelism Connections. Prayer for Easter 4B, RevGalBlogPals, 2012. 2009. Starters for Sunday, 2015. Thoughts on Readings, Prayers & Hymn Suggestions. Office for Worship, Doctrine and Artistic Matters, Church of Scotland. Worship Ways, prayers and liturgical resources. UCC. Español. Prayers of the People, Richard J. Einerson, sample prayers from Prayers of the People: Pastoral Prayers for Worship and Personal Devotion. Prayers of the People, Lowell Grisham, St. Paul's Episcopal Church, Fayetteville, Arkansas, 2015. Alternative Proper Preface for Easter 4, Porter Taylor, The Liturgical Theologian. Confession RCL, Bill Wessner, 2015. Hermanoleon Clipart, Easter 4B. Free clipart, backgrounds, slides, etc. Clip Art Images: John 10:11-18, Misioneros Del Sagrado Corazón en el Perú. Easter 4 at Cerezo Barredo's weekly gospel illustration. Follows Latin American Roman Catholic gospel reading, though most gospels texts/themes are found in the index. Liberation emphasis. Clip Art, Easter B4, Fr. Richard Lonsdale, Resources for Catholic Educators. Bulletin Covers, www.scholia.net. Our Redeemer Lutheran Church, Emmett, Idaho. Scroll down for Year B index. In the film Selma, there are times when Martin Luther King, Jr. seems like a good shepher, in one scene standing watch over his people as they kneel in prayer in front of a segregated courthouse, and in another heading the march to Selma..
Ball, Dollar Store Children's Sermon, John Stevens, 2015. Catchy Lecty free graphics for Eastertide, 2015. “Good Shepherd, We Are Not Alone,” Carolyn Winfrey Gillette’s hymn inspired Jesus the Good Shepherd in John 10. Tune: PUER NOBIS NASCITUR (“That Easter Day With Joy Was Bright”). “Jesus, We Know Your Love in This,” Carolyn Winfrey Gillette’s hymn based on 1 John 3:16-24. Tune: ST. CATHERINE (“Jesus, Thy Boundless Love to Me”). “Lord, You Are My Shepherd,” Carolyn Winfrey Gillette’s hymn based on Psalm 23. Tune: TO GOD BE THE GLORY. “O Jesus, You Were Born to Be,” Carolyn Winfrey Gillette’s hymn celebrates the names and titles of Jesus (including the verse, “The Gate that leads us safely home, The Shepherd calling to your own”). Tune: TRURO 8.8.8.8 (“Lift Up Your Heads, Ye Mighty Gates”), O WALY WALY (“Though I May Speak”) and TALLIS' CANON (“All Praise to Thee, My God, This Night”). "Walk On Ahead, Good Shepherd," Brenton Prigge, New Hymn, 2012. Hymns of the Spirit Three, Easter 4B, Richard E. Hurst, Universalist National Memorial Church. Hymn and Song Suggestions, Easter 4, 2018, annotated suggestions from Natalie Sims, Singing from the Lectionary. You Call That Church Music? alternative music planning blog for church musicians following the RCL (with videos), Ann Strickland, 2015. Shepherd Sounds, Easter 4. Background information for hymns and choral music following the lectionary from the Episcopal Church of the Good Shepherd, Austin, Texas, by Eric Mellenbruch and David Zersen. Lectionary Hymns, Easter 4, National Association of Pastoral Musicians. The Billabong by Rev Jeff Shrowder, Uniting Church in Australia: Hymn suggestions and paraphrases of lectionary Psalms. Choral Anthem Project, Easter 4, National Association of Pastoral Musicians. Sing for Joy, Easter 4, 2009. Choral reflections on this week's lectionary readings, St. Olaf College. Together to Celebrate, Easter 4, 2015, David MacGregor, Uniting Church in Australia. Contemporary Christian Music resources. Worshiping with Children, Easter 4, Including children in the congregation's worship, using the Revised Common Lectionary, Carolyn C. Brown, 2015. 2012. "Storypath Lectionary Links: Connecting Children's Literature with our Faith Story," April 26, 2015, Union Presbyterian Seminary. 2012. Ball, Dollar Store Children's Sermon, John Stevens, 2015..
Children's Sermon, Faith Formation Journeys, 2015. "We Know Love By This," Frances Woodruff, On the Chancel Steps, 2012. "A Colorful Flock," Matt McCaffrey, Second Congregational Church, UCC, New London, CT, 2012. "The Lord Is My Shepherd," Dianne Deming, Children's Sermons Today, 2012. Children's Sermon, Faith Formation Journeys, 2012. Little People Big Word, Easter 4B, D. Ditmer, 2012. Story for Children's Worship and Family Activity, Easter 4, at word-sunday.com: A Catholic Resource for the Lectionary by Larry Broding. Weekly Devotion Page, Faith Formation Journeys, 2015. Lectionary Puzzles by Reg McMillan, St.Stephen's Presbyterian Church, Peterborough, Ontario. Word search puzzles in RTF or plain text (html) formats.